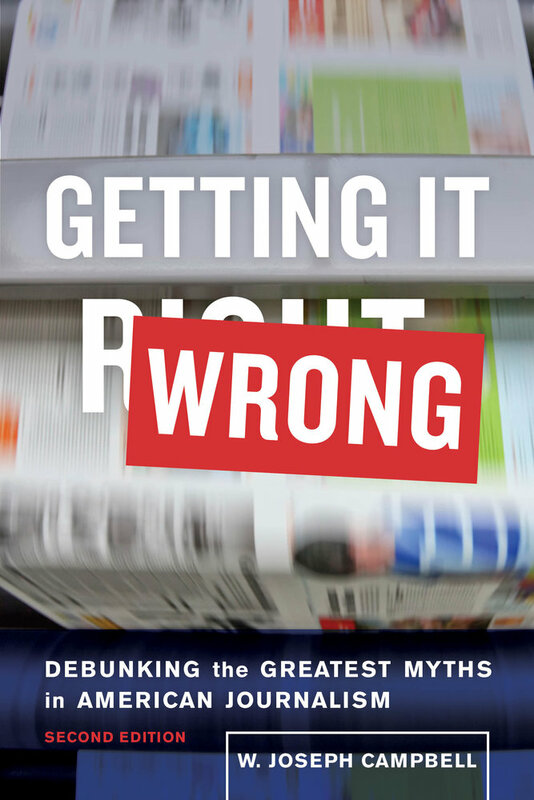 Many of American journalism’s best-known and most cherished stories are exaggerated, dubious, or apocryphal. They are media-driven myths, and they attribute to the news media and their practitioners far more power and influence than they truly exert. 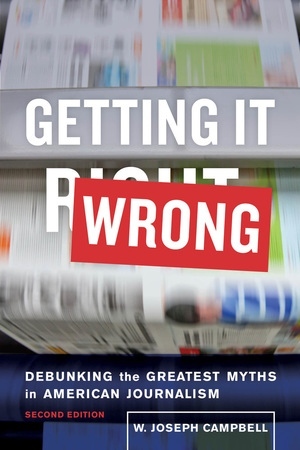 In Getting It Wrong, writer and scholar W. Joseph Campbell confronts and dismantles prominent media-driven myths, describing how they can feed stereotypes, distort understanding about the news media, and deflect blame from policymakers. Campbell debunks the notions that the Washington Post’s Watergate reporting brought down Richard M. Nixon’s corrupt presidency, that Walter Cronkite’s characterization of the Vietnam War in 1968 shifted public opinion against the conflict, and that William Randolph Hearst vowed to “furnish the war” against Spain in 1898. This expanded second edition includes a new preface and new chapters about the first Kennedy-Nixon debate in 1960, the haunting Napalm Girl photograph of the Vietnam War, and bogus quotations driven by the Internet and social media. W. Joseph Campbell, a former newspaper and wire service journalist, is Professor in the School of Communication at American University in Washington, DC. He is the author of five other books, including 1995: The Year the Future Began and Yellow Journalism: Puncturing the Myths, Defining the Legacies. KGNU's Hannah Leigh Myers discusses the state of modern Journalism with award winning author and educator W. Joseph Campbell and Denver Post staff writer and Denver Newpaper Guild member Noelle Phillips.